Usually, our company offers all installation accessories and materials for all types of windows and doors. Of course, if customer doesn’t prefer to get it, we exclude it from the total order price without any problem. Besides, it is very important to install the windows properly and firmly, all the way by level. However, sometimes after installation, windows must be adjusted. In fact, it is not correct to think, that using only installation foam around the windows is enough. To clarify, no screws or metal brackets needed, this is an absolutely mistake. As it has been noted, we always offer a metal brackets for PVC windows installation. Our calculation program always calculates the correct quantity of such metal brackets, which connect windows to the wall. 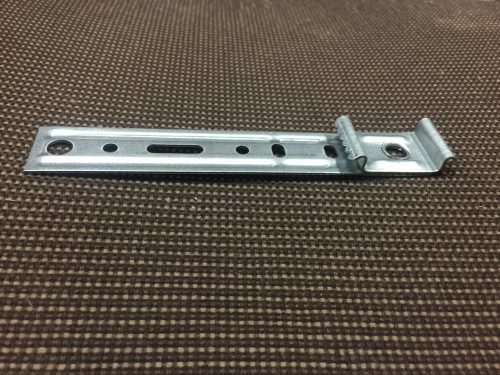 For those, who don’t like to connect windows directly through frame using screws, the metal brackets are great option. Besides, metal brackets is a very good option, when windows stands outside the wall on isolation place. Presently, we can offer extra-long and standard measure metal brackets. 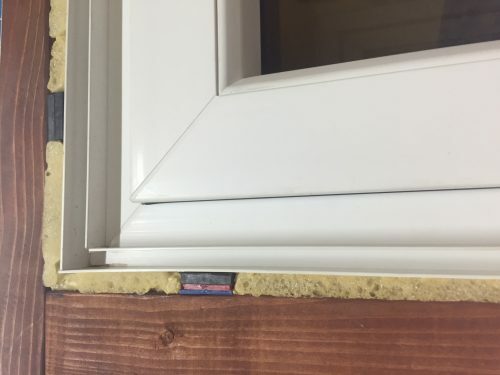 After the windows are installed into the wall and connected with screws or metal brackets, the gap around the windows (ca 1.5 cm) must be filled with an installation foam. Our windows calculation program counts a required amount of installation foam. In fact, we recommend only professional – SOUDAL installation foam. Mainly because of its low expansion type. Generally speaking, this is a profile on a click system around the windows to place a finish board or gyps from the inside (furingsnot). Usually, every type of Scandinavian windows have 10 x 10 mm groove around the windows, to place the “furing”. Meanwhile, for the PVC windows it is not recommended to make such groove around. In this case, You will damage 2 of 6 chambers and U value will get down. Therefore, we recommend, and many of our clients in Scandinavia choose a 10 mm x 10 mm profile on click system around the windows. This profile is mounted on the inside of the windows throughout the perimeter and performs the same function as grooving. 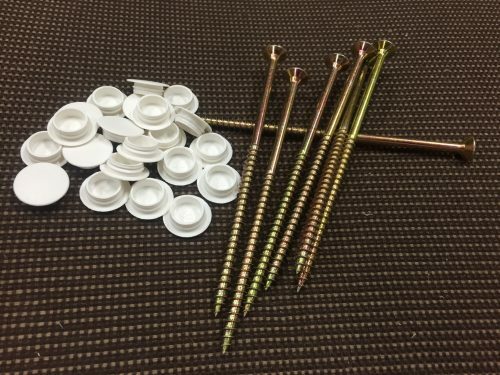 Normally, our program calculates the correct quantity of screws and plastic screw covers for wooden windows. As other type windows, wooden windows need a proper installation and a very strong connection to the wall with screws. You will need to drill the holes in the frames and use screws. Apart from this, plastic covers will hide the screws and it looks nice. For exact examples, please, see it on our gallery. After the windows are installed into the wall and connected with constructions' screws the gap around the windows (ca 1.5 cm) must be filled with an installation foam. Specifically, our windows calculation program counts a required amount of installation foam. In fact, we recommend only professional – SOUDAL installation foam. Mainly because of it’s low expansion type. There are two ways to install SCHUCO/REYNAERS production, depending on a situation and object construction type. It can be fitted either by mounting metal brackets or by screwing through the frame. We can offer both ways (materials). After the windows are installed into the wall and connected with screws or metal brackets, the gap around the windows (ca 1.5 cm) must be filled with an installation foam. Specifically, our windows calculation program counts a required amount of installation foam. In fact, we recommend only professional – SOUDAL installation foam. Mainly because of it’s low expansion type.